CrossCode, from developer Radical Fish Games, in an action-RPG inspired by 16-bit classics like The Legend of Zelda: A Link to the Past, except that is a science fiction game set in the future. 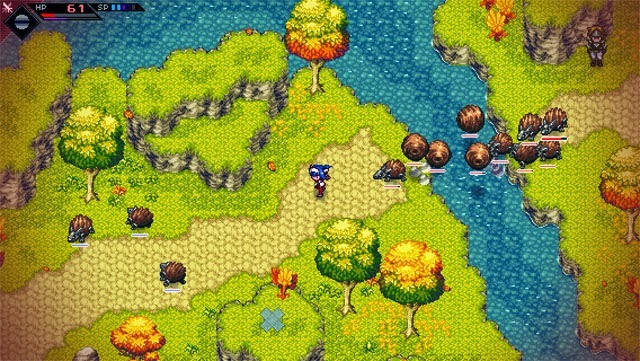 The game's protagonist, Lea, finds herself trapped in an MMO called CrossWorlds where she must fight enemies, level up to increase her stats and gain new abilities, and solve environmental puzzles. While the game is inspired by 16-bit titles, the pace of the action is decidedly more fast-paced than anything that was being presented on the consoles of the day, with Lea furiously tossing projectiles, spinning and dashing through enemies, and taking on large fast-moving boss creatures. CrossCode originally entered Early Access in 2015, and the full version was released today for PC, Mac, and Linux via Steam.